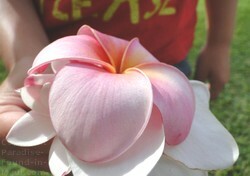 50% off and 2-for-1 coupons for Maui's restaurants, activities and more! Kapalua, in particular, is known for its high priced Maui restaurants, so if you're in the area and your wallet needs a break, the Gazebo Restaurant at Napili Shores should be at the top of your must-visit list! The thing is, it almost pains me to write about this place. It's kind of out of the way, and you'd probably never notice it unless you were told where to go. The selfish side of me would like to keep this a secret as much as possible so the line-ups don't get any longer than they already are! 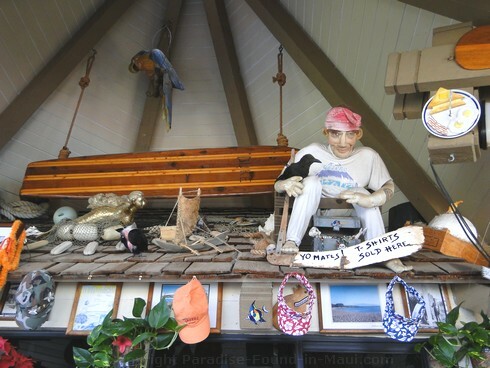 But, this wonderful Maui restaurant deserves to be recognized for the great job that they do, so, here is all the info you'll need to find this fabulous Napili Shores gem that's only minutes away from Kapalua. But first, here is a preview of the grand breakfast that could be yours, with glorious views to match! Every time I saw a server go by with another plate of food, I was amazed by the huge quantities. It's no wonder this place is packed! Other popular choices for breakfast were their eggs (served however you like, whether fried, or made into an omelette with all the fixings! ), with a side of rice or country potatoes and toast. You should have seen how high those plates were piled - rice seemed to be a popular side, and holy cow did they ever give a LOT! Or maybe you'd like something a bit more sophisticated like Eggs Benedict, or perhaps something light like fresh island fruit! Whatever you choose, I think it's safe to say that you will not leave the Gazebo Restaurant hungry. If you end up coming to this lovely Maui restaurant for lunch instead of breakfast, you can look over their fine selection of burgers, salads, sandwiches and lunch plates. Prices for breakfast ranged from as little as $7 for their short stack of their specialty pancakes to a high of... wait for it... $11.25 for their breakfast burritos or filling omelettes of endless variety! Prices were current at the time of this writing, but can change at any time. For the most up-to-date pricing possible, please check with the Gazebo Restaurant directly. 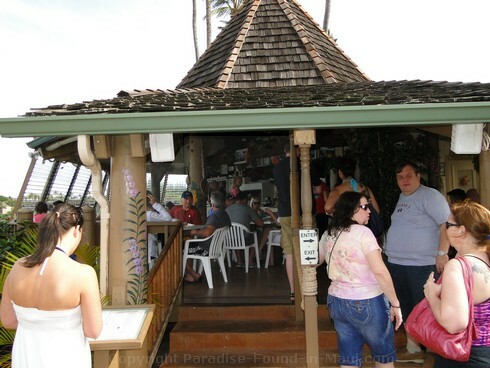 This place won the 2010 "Best Breakfast" award from Maui Magazine. 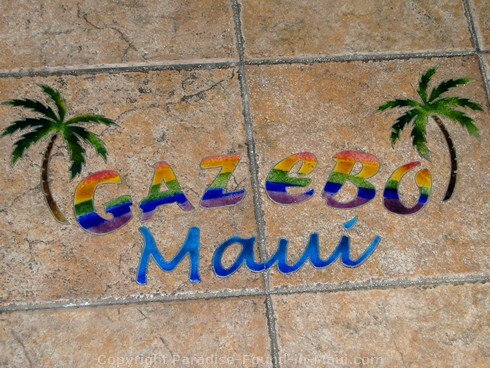 The Gazebo Restaurant at the Napili Shores Resort is open from 7:30 a.m. until 2:00 p.m. daily. If you want to go for breakfast, the earlier you arrive, the better, assuming you want to minimize your wait time - lineups have been known to start forming pretty much as soon as they open for business, and they can grow to be rather long. But I wouldn't let a lineup stop you from checking out this Maui restaurant. We showed up late, at 10 a.m. with 2 pre-schoolers in tow. While the wait was long, it wasn't the end of the world since there was plenty to keep us busy. While my husband waited in line taking in the ocean views and sipping on the free coffee (Boy, they sure know how to treat their customers! Not many Maui restaurants will serve you free coffee while you wait for a table!) 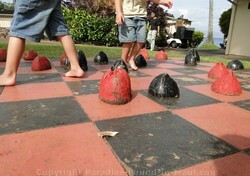 the kids and I had fun playing checkers on the lawn of the Napili Shores resort, searching for fallen plumeria blossoms and checking out the beautiful Napili Bay out front. If the free coffee and ocean views aren't enough to make you want to wait in line for a meal here, then I recommend you come at around 11:30 or noon. The line-up is usually short or non-existent by then, and you'll still get to enjoy their well-priced delicious meals that are such a bargain for the Kapalua end of the island. 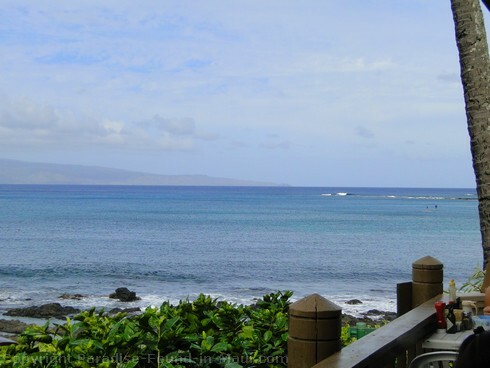 It's only a short drive of about 5 minutes from Kapalua or 10 minutes from Kaanapali. This Maui restaurant is located in the Napili Shores Resort at 5315 Lower Honoapiilani Road. 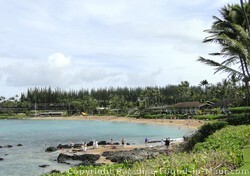 From Lahaina or Kaanapali, follow the Honoapiilani Highway north towards Kapalua. Make a left turn onto Napilihau Street. (There is a set of traffic lights at this intersection, and some pine trees on both corners of the left turn you'll be making.) Follow Napilihau through a mostly residential neighbourhood to the end, where it intersects with Lower Honoapiilani Road. Make a right turn here. Just past the intersection of lower Honoapiilani Road and Malialani Place, you'll see the Napili Shores Resort on the makai (ocean) side of the road. Turn into their parking lot, and head to the right and all the way to the back of the lot. 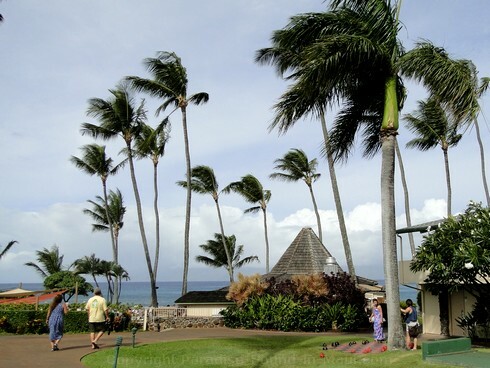 Once you've parked, just walk through the grassy courtyard of the Napali Shores property, heading towards the ocean and the pointy rooftop of the Gazebo Restaurant. From Kapalua, the directions are essentially the same - follow the Honoapiilani Highway to Napilihau Street, make a right turn, then follow this road to Lower Honoapiilani Road etc. If you stay in Napili, you'll be as close as humanly possible to this restaurant and can likely walk here in mere minutes. Other great options that aren't too far away include Kapalua (5 minute drive), Kaanapali (15 minute drive), and Lahaina (20 minute drive).